Blogging – my sweet home and its people my friends and family. Blogging – my growing community of circle. Blogging – an addiction that I find hard to resist. Blogging – a habit that has helped me to grow everyday. Blogging – a life support system introducing me to varied topics/people from all across the globe. Blogging – something that I enjoy. Blogging – my absence, leaves me guilty. Blogging – my crystal globe. Blogging – a kaleidoscope of different colours and patterns. There was a spiral staircase in our school building. We were not allowed to go there but I was always curious about it. Somehow I thought of Rapunzel or someone trapped up inside what looked like a room. With a group of five friends I decided to go. When we climbed up we went half way and then came back. Due to its spiral shape and the gaps between each step we felt dizzy and not to mention that the height scared us away. We again tried the second time. It was decided that three would stand down just in case we fell or something happened. I was one of the two to go up. I reached only to find a lock at the entrance. I didn’t look down as I went up; as I knew, if I would then I could not go ahead. It was only when I reached the top of the staircase that I saw down for a brief moment. I thought I would feel good but I realized my fear of heights for the very first time. An uneasiness filled my tummy. There was a feeling that I was sitting on a merry go round and I started running down the stairs. We were happy because we had done something that no one had done (or so we thought). We didn’t find anything but we did it. At that moment I certainly felt that having done this I could do anything. If I was there I could be anywhere where my heart desired me to be. I felt victorious as I skied on snow. One moment I was on the snow, making a mark. In a moment it was over me, now I was the mark. I screamed, but only I could hear my voice. My friends had abandoned me. A thought had stung me. I prayed for the snow to melt. I visualized mighty sun had wrapped me. Then when the night set in, I tried jumping like a spring caught in cement. The next day I heard my name. My body a frozen candy but my senses all alert. I yelled with all my strength. Some dark figures were approaching towards me. Here is a list of my favourite movies: The sound of music, My fair lady, Singing in the rain, Matrix, Inception, The Shawshank Redemption, The notebook, Titanic and then I like all Disney movies but my all time favourite is Bambi and The lion king. Yes, I’m just like you – I love watching movies. I haven’t thought about acting for a long time though (as a child I often thought of becoming an actor). Although, I would love to say that I do posses a little bit of talent like any other average person but acting…now…let me think. Today seems to be the day as WordPress has given us the opportunity to show our acting skills and I’m waiting to showcase my talent in the movie. A great movie is a combination of great actors, moving story line, some realistic characters and of course there is massive art of direction and a lot more other things. Me and acting…think about it after watching our dear friend Phoebe from Friends in this episode…I would do the same thing…even worse…and the movie will never hit the theaters or if it did I’m sure I was not there. Here is the video clip. Laugh and Smile! Wow! 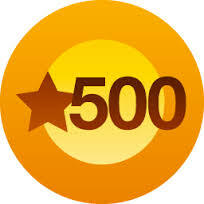 500 likes, surely is is a milestone. I had never thought that I will get here when I had started a few months back. But now that I’m here I would like to thank all my blogger friends and my trusted readers who have pushed me, helped me to reach here. When I had started I was not very sure. To be honest, I was a bit scared. But then I thought, “Let me just write and everything will be in place…and I carried on.” Very soon I started enjoying writing and sharing my experiences. I have plans to include topics and add diversity to Emovere. What kind? I really don’t know, so kindly be patient. Managing time can be difficult at times as my responsibility as a freelance trainer ties me up, when in a project. I hope you’ll understand. In the meantime I would really love to hear your thoughts. Thank You, guys once again. 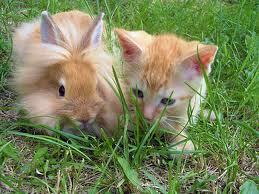 It’s not easy for me to make friends, but once you are on my “friends list” you are their forever. This is what I do. I would observe a person first and then approach rather than approaching instantly. I feel this way it is easy to face any rejections or embarrassment. When I finally arrive at the spot with all the tools in my hand I would start the friendship game. 1) The first thing is to introduce myself. Hi! My name is ….? 2) Then if the person introduces him/her self. Good! All you have to do is build a rapport now. 3) If the person doesn’t introduce or shows any signs of hesitation or you sense it, first try… before giving up. 5) If this is difficult the best is to smile and compliment something about the person or that he/she owns. “Wow where did you buy this from it’s looks beautiful…I’ve been looking for it. You have a pleasant smile (As I said I’m very observant and then approach, so I would know a little about the person’s behavior and attitude by now). I took off, not with someone, but alone. Did not run out off the country but stepped out of the house. It was not after years or days but it was only after a couple of days that I decided to take a leave from my daily chores and visit the outside world. I didn’t go very far from my home, but just a close by market place. I think market is the best place to socialize when you are all alone. I just love to sit somewhere and watch the people. It all seems like a movie. My eyes were scanning through a lot of things: the office goers, the school children, the college students, the cars running at a speed, an old person trying to cross the street, mother holding her child tightly to cross the road, the desperate drivers waiting for the signal to turn green, some cutie couples snuggling around the corners of the cafe and acting to place an order when the truth was they just wanted to sit…I didn’t know then that all these activities were being registered whereas in reality I was just enjoying my moment. Have you come across those moments in life when you become a child? I will see myself turn into one in a few minutes time. I was watching everything as if it was my creation. Just then everything froze in front of me as I caught a glimpse of my childhood memory. I saw it. As it was spinning around, it seemed very attractive to me. The colours were so vibrant that it had to attract your attention. It was meant to do so. I am an adult and things like these should not attract me. It’s perfectly fine for me to smile at it but not show excitement like a five year old kid. But then I did. I smiled like an adult and was little excited when I saw the pinwheel. I didn’t know what I was doing but I knew exactly what I had to do. Claim it; at least have one and so I bought it. On the way I just kept looking at the wheel which was in motion. I didn’t care if people were looking at me or it or were not looking at us at all, for all I knew was, I was looking at the wheel and certainly enjoying it. I kept it in an empty jar near the window where it could take uninterrupted breaths of life. As a child I was always amazed to look at it spinning continuously. I thought it was somehow connected to the breeze. I could not comprehend the technicality behind such a simple thing. All I knew was it had a thin round wooden frame. It looked like a wheel of a cycle and instead of metal spokes had thin strips of colourful papers attached to its center. The center of the wheel was pinned to a bamboo stick. Today as I was holding a memory of my childhood days it made me realize that it is me. The object symbolizes me in many ways. The wheel continuously spins itself with the push of the wind. Sometimes it plays along with the breeze like a playful child and then it slows down at random intervals to take a break. An unseen power, much like the breeze helps me in my movement of life. I’m the center of my wheel. The world around me has many colourful strips of paper. They are the people who are connected to me in some or the other way. Some are the close members of my family, some are my friends, some are strangers whom I know, some total strangers whom I don’t know. They all form the important part of my colourful life; I don’t know if I could have lived my life alone. I believe that these people help me to pull myself through good and bad times of my life. They are important to me as much as I’m important to them. I’m looking at the wheel it hasn’t aged a bit in its enthusiasm. It spins to life with every opportunity and then dies slowly with the slow breeze. To me, it always seems to be smiling colourfully. It will stand for some days until the breeze weakens it or until the several hands loosens its grip from the center or just tear from somewhere middle. I know that the life will not always be fair to me; there will be some flying days and some dying days. I know not everyone will be a part of my journey till the end of my life; some would hold my hands and some would leave. It amazes me that even when it is still, it reflects vibrancy and to me, it is happiness and life itself. But the only question that comes to my mind is, “can I remain to be cheerful and vibrant like the pinwheel all the time?” Can I reflect the same positivity during the grey days of my life? My up close encounter with my little buddies, this is somewhat a daily routine for me. I get up early everyday and after being done with my daily rituals I prepare breakfast. It might sound that I have a “heavy breakfast” but in reality I just have a humble cup of tea and some toast. No, they are not my encounters, they are things. I have my encounter neither with some people nor with things but rather something innocent and pure. They are not white but carry grey wings to their small little bodies. Yes, I’m talking about my “pigeon buddies”. Yes, that’s what I would like to call them. They always come and sit at my window sill. They know when I’m awake and as soon as they get a glimpse of me (from somewhere, I don’t know) they come and start cooing. I have come to understand it as they, saying “good morning” to me, so even I greet them. We tend to have breakfast together, lunch together and dinner…no, they don’t stay that long (even they have a home, and of course you should be with your loved ones at least once in a day) and I don’t mind that. Sometimes I forget to give them food, but they do not disturb me. And then I realize that I’ve forgotten to give them food so, hurriedly I go and tell them “why didn’t you’ll ask?” They listen carefully, and so the next time they are hungry, they start calling out as anyone would call out in the house to me and ask for food (just that the language is different). They know when I’m unwell they don’t talk much and don’t bother me much, but yes they keep a close guard. We talk in a language that hasn’t been developed by anyone. I enjoy talking to them. They give me signs that only I could understand in the house. Sometimes I feel like they are my children, the other times I feel that they are my friends. Perhaps, here I can say “a friend in need is a friend indeed”. But more than this I feel that they are my guardian angels. Don’t you think; I certainly do. 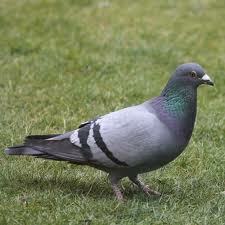 They are pigeons, pure and have wings. Now, you can call me crazy but to me that sounds like an angel in disguise or rather angels in disguise. Over a period of time I’ve realized that they are not just birds but to me their identity is no less than a person (and some what I could claim them to be godly creatures as well).